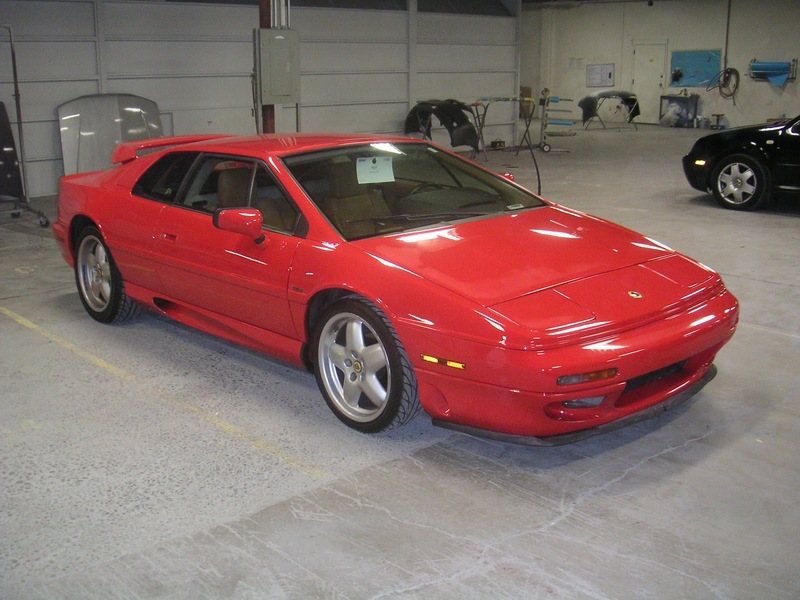 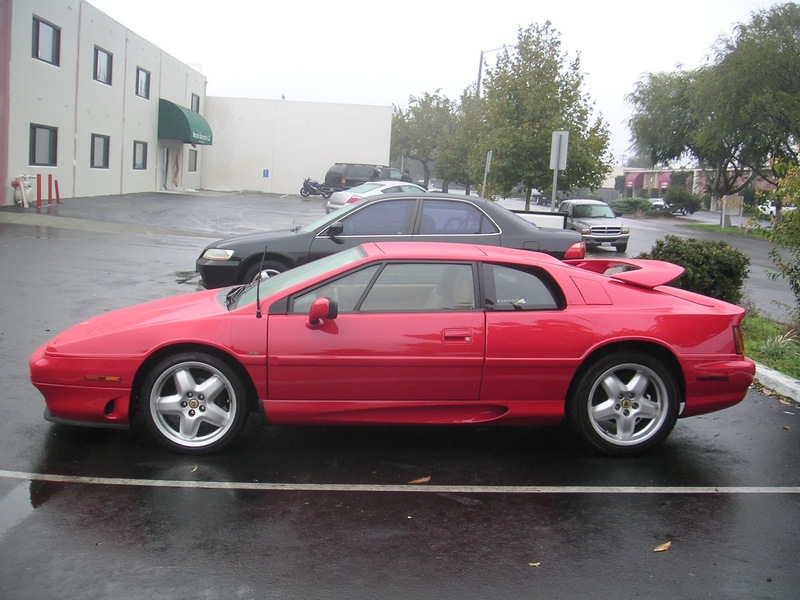 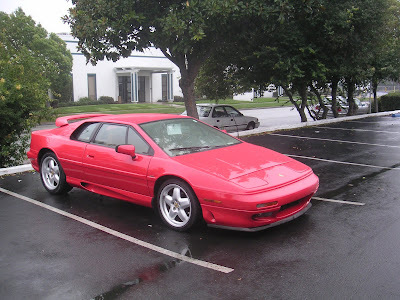 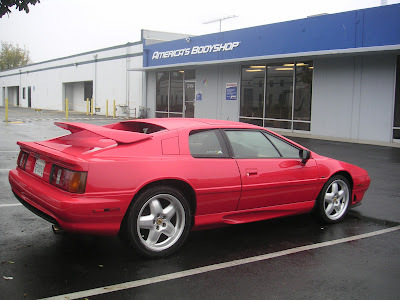 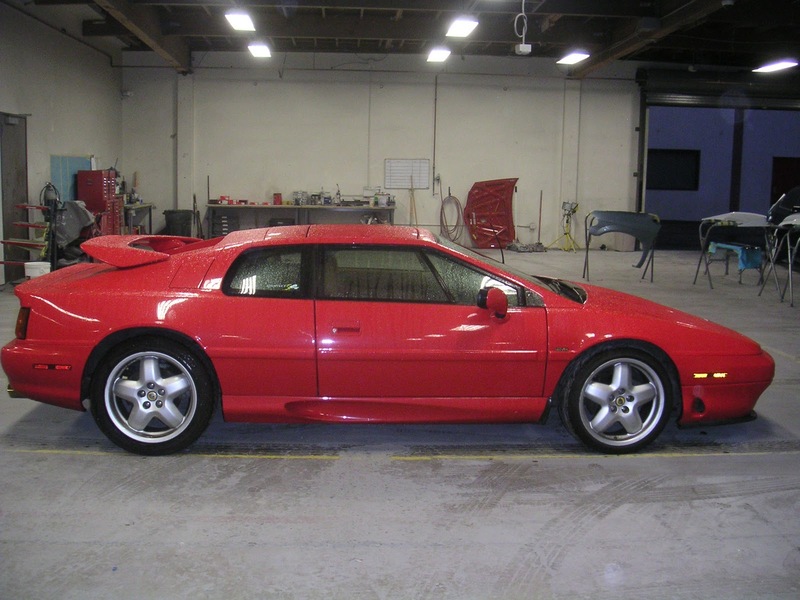 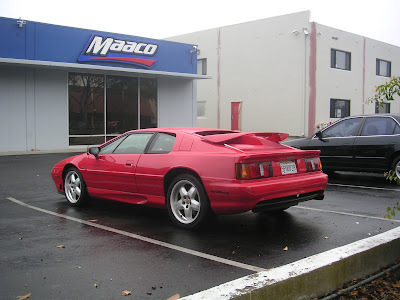 Almost Everything's Car of the Day is is a 1994 Lotus Esprit S4 "commuter car" according to the gentleman that owns it. He drives between the San Francisco Bay area and Las Vegas on a regular basis. 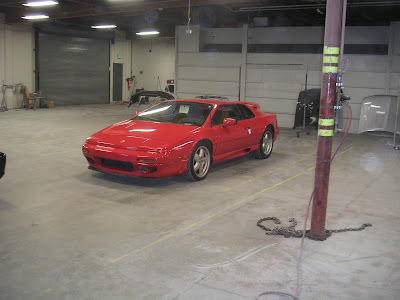 He brought the car to Almost Everything Autobody on a rainy day so it is difficult to see from the pictures how the car was sand-blasted from the high-speed runs across the desert. 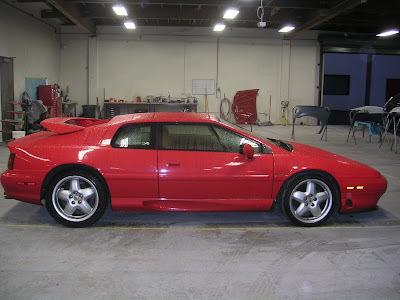 We did a complete paint job on the car and it looked (and sounded) like a million bucks when complete.